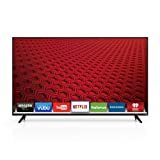 The VIZIO E65-C3 is a new favorite for a reason- it is simple to use, the service is great if something goes wrong and it is very high quality. You cannot go wrong with purchasing this TV because it is worth every penny you pay for it- if not more! 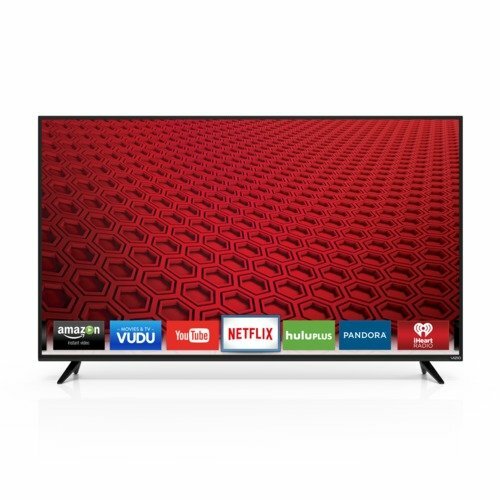 This is a great TV for a family that will use it often and give it lots of love. The sound quality on the VIZIO E65-C3 is worth mentioning right off the bat because it is really good! Of course, it is not surround sound quality or anything but for a built-in TV sound system it is incredible, and you may want to think twice before buying speakers for it. It really sounds that good! The special features are just what is advertised and more. It has plenty of USB plugs where you can add all of your fun stuff and goodies to the mix. The TV handles all the extra things you plug in well and does not seem to freeze up or take 3 million years to load like other TVs. The apps available are just what is needed and probably more than what most people want- which is good. The definition and clarity of the VIZIO E65-C3 is remarkable. It looks way better than most other TVs in its class. The size of the TV really lends to the picture and how incredible it is. The settings are easy to set, and there are a lot of options so that you can set the picture and sound to exactly how you want or need it. It may not be as easy if you are not familiar with how most of them work, but it works just like most other TVs just with a little extra for better quality. The TV looks great! The stand is really wide which is perfect for a bigger surface, but it may have issues on a smaller surface such as a dresser or smaller cabinet. An odd thing about this TV that seems to be more common in the newer TVs is that it had no power button. The remote seems to be the only way to turn it on and off, and that is slightly annoying but not a huge deal. It would be good to have that option still. The delivery person will probably assemble the TV for you or at least set it up enough to see if it is working properly so pay attention to what they do and it will help you learn how to use it much faster. You could probably set it up yourself easily because it really is pretty fast and easy. The TV recognizes what you plug in and will rename it for you which make the set up a whole lot easier.